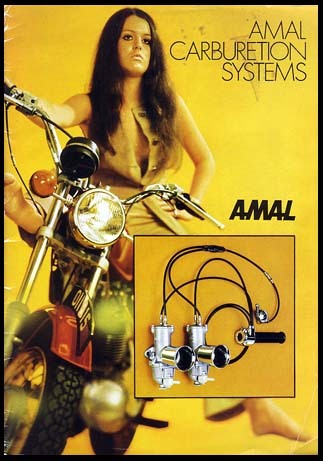 The above link goes directly to the Amal Carburetter Company, a division of Burlen Fuel Systems. I'd have to say I'm very impressed with this company. They seem to be geared towards the enthusiast. I've contacted them and they said that all Amal carbs are made in England. They have been steadily adding earlier models to the current product lineup which includes Concentric, monobloc and GP's. Best of all they have all the correct original parts to keep your carbs up and running. Their prices are reasonable and they list shipping charges without having to give your credit card first! You can figure out your order and know the total in advance. Burlen Fuel Systems has also taken SU and Zenith (among others) under their wing. So you guys with the MGB's and Jag's can get new stuff too. Hey, you can even get a new Zenith for your 2-1/4 liter Land Rover!